I finally was able to get the newest pattern done! Its made up of triangles and diamonds. I just love the way it turned out! I just love the borders. This particular quilt I decided to quilt and bind. 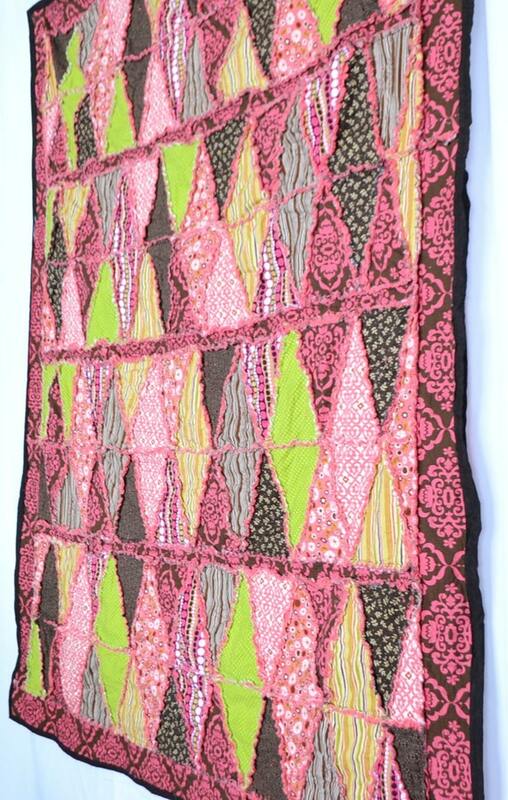 It has the dreamiest watermelon minky on the back. 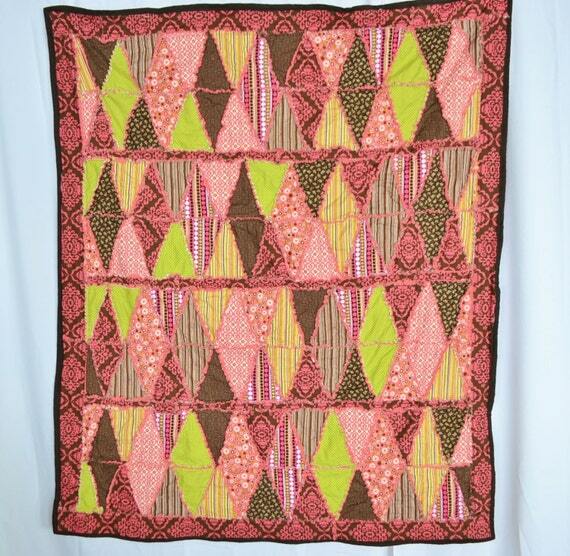 In each of the brown triangles I quilted a little flower. Then for the border I did a free hand scrolly design. I also made a monochromatic version of the triangles and diamonds. I LOVE it. 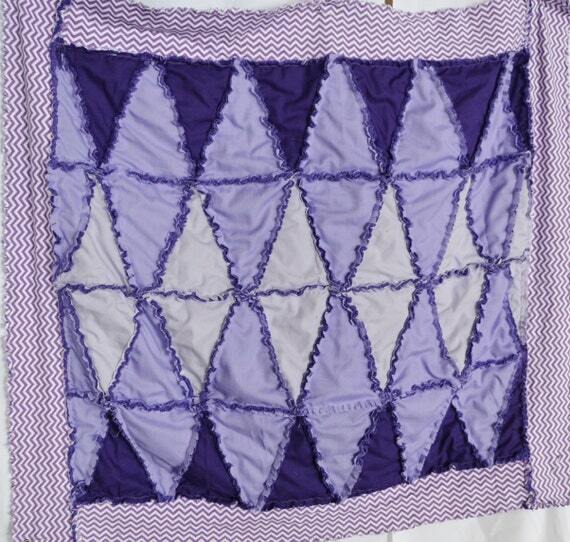 I am not normally a fan of purple but this quilt turned out really fun! Of course the purple chevron boarder helps! This looks realy nice. Love the pattern and the colour.